It was on this day 20 years ago that Rich Mullins was killed in a car accident on his way to a benefit concert in Kansas. At the time of his death, Rich was only moderately popular and had never won any awards - not even for his internationally-famous worship songs which are still sung in churches throughout the world. The exact cause of the crash which took Rich's life is still unknown, although you can read the details about the crash online. That being said, I will never forget how I learned about Rich's untimely death. My daughter and I were driving through the empty deserts of west Texas on our way home to Dallas after attending a youth conference in Tucson, AZ. I had been channel surfing on the radio and trying to find something to listen to, which was rather difficult since we were out in the middle of nowhere. 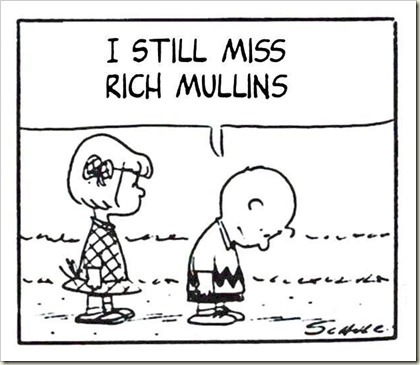 I discovered a radio station which was playing a song by Rich Mullins, whom I had always admired, and I remarked to my daughter that we needed to see Rich in concert whenever he came through Dallas. Nevertheless, I often wonder where Rich's career might have gone if he had not passed away at the young age of 41. He tended to be openly blunt about sin and judgmentalism within the church, which is one reason why he was largely overlooked and often ostracized by the "Contemporary Christian Music" industry until after his death, (when the establishment was suddenly forced to deal with the reality of their hypocrisy). With that in mind, if Rich were alive today, he would probably still be living in veritable obscurity in a hogan on the Navajo reservation in northern New Mexico, where Rich was working as a music teacher in self-imposed destitution after taking a voluntary vow of poverty. 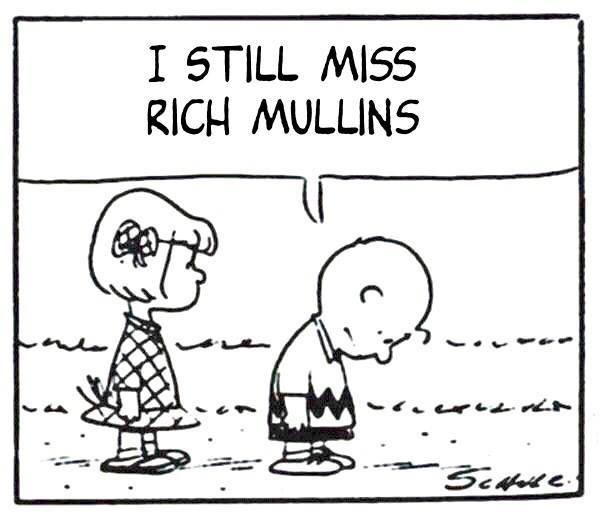 If nothing else, Rich Mullins was certainly unique; I still miss him and his music. Is Syndicated Christian Music the World's Most Boring Genre? I used to live in the Dallas Forth Worth area, which helps form the lower band of the Bible Belt. While we were there, my wife and I were fortunate to have a wealth of local Christian radio stations and concerts to choose from. It didn't matter which subgenre you preferred: pop, rock, gospel, praise, etc. ; there was always a radio station for you to listen to. All three of these syndicated radio stations continually spew never-ending streams of utterly forgettable music. The playlists for these stations often consist of unimaginative and trite originals, or generic attempts at copying secular music genres (yet falling several years behind what is current). One of the most-common problems the Christian music genres face is endemic to Christian music in general, and this is the constant insistence that "the lyrics are more important than musicianship." This mindset is, of course, a ridiculous proposal. Not only does it completely ignore Psalm 33:3, but it means that the bulk of Christian music cannot be taken seriously; because if the people who are creating Christian music cannot take their craft seriously, then no one else will. That being said, the Christian music industry is just that - an industry. And like it's secular counterparts, the Christian music industry attempts to crank out hit after hit in an effort to prolong their revenue stream. Let me be clear: I am a capitalist at heart, and I have no problems in principle with anyone who chooses to make their living by sustaining a successful product line. However, those responsible for producing Christian music fail to realize that by turning out an endless torrent of pedestrian drivel, they are putting themselves out of business. I guarantee that fewer and fewer people are buying Christian music because - to put it bluntly - most of it is crap. How many times per hour does someone really need to hear Chris Tomlin? In closing, there are thousands of wonderful Christian musicians around the globe, but chances are good that you'll probably never hear them. The people at the helm for charting the course of the Christian music industry are not interested in talented musicians; they are far too preoccupied with trying to produce next year's crop of bland and predictable "hit makers." In a like manner, if you tune into any of the syndicated radio stations that I listed above, then you'll have to endure hours of songs from Chris Tomlin, Matthew West, tobyMac, and something from MercyMe or Casting Crowns, (who are secretly the same band anyway... yes they are, yes they are, yes they are).